There are currently 8 sections of ASPB. Six are formed from geographical regions of the USA and parts of Canada and Mexico. There are also two interest based section. Each section maintains a member base and holds annual meetings. Each section also has a private group on Plantae.org. Contact Shoshana Kronfeld with any questions. Welcome to ASPB’s Environmental and Ecological Plant Physiology (EEPP) section, a theme-based section within the American Society of Plant Biologists. Welcome to ASPB’s Mexican Sectional Society. It represent the interest and needs of plant biologists in Mexico. Mexico represents an increasing amount of plant science discovery. Welcome to ASPB’s Midwestern Sectional Society. US states included: Iowa, Illinois, Indiana, Kansas, Michigan, Missouri, North Dakota, Nebraska, Ohio, South Dakota, West Virginia, and Wisconsin. Canadian providences included: Manitoba and Ontario. Welcome to ASPB’s Northeastern Sectional Society. US states included: Connecticut, Delaware, Massachusetts, Maine, New Hampshire, New Jersey, New York, Pennsylvania, Rhode Island, Vermont. 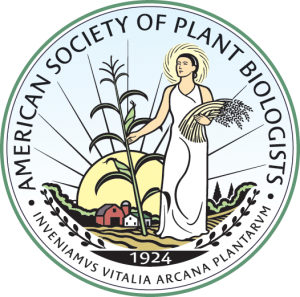 Welcome to ASPB’s Primarily Undergraduate Institution (PUI) section, a theme-based section within the American Society of Plant Biologists. Welcome to ASPB’s Southern Sectional Society. US states included: Alabama, Arkansas, Florida, Georgia, Kentucky, Louisiana, Mississippi, North Carolina, Oklahoma, South Carolina, Tennessee, Texas, Virginia and West Virginia. Welcome to ASPB’s Western Sectional Society. US states included: Alaska, Arizona, California, Colorado, Hawaii, Idaho, Montana, New Mexico, Nevada, Oregon, Utah, Washington, Wyoming; Canadian providences included: Alberta, British Columbia and Saskatchewan.